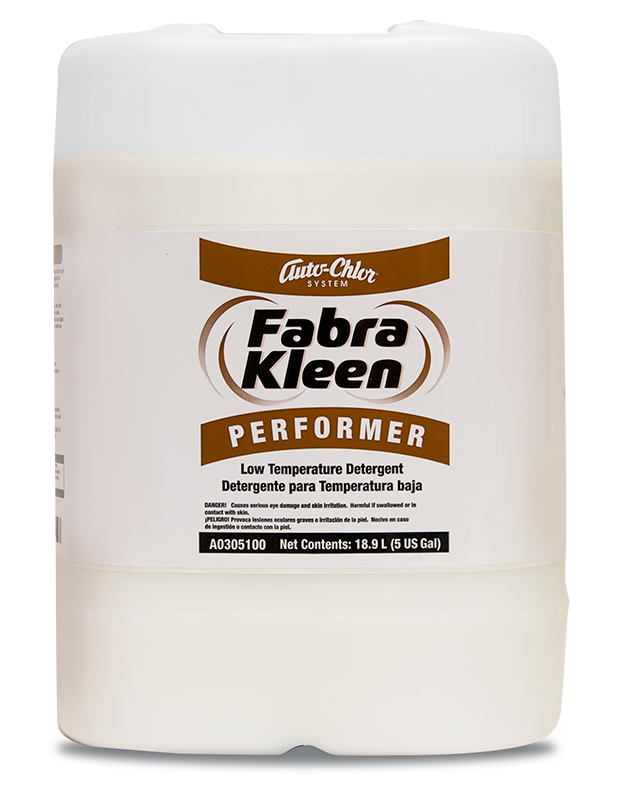 Formulated for commercial and institutional laundry use. 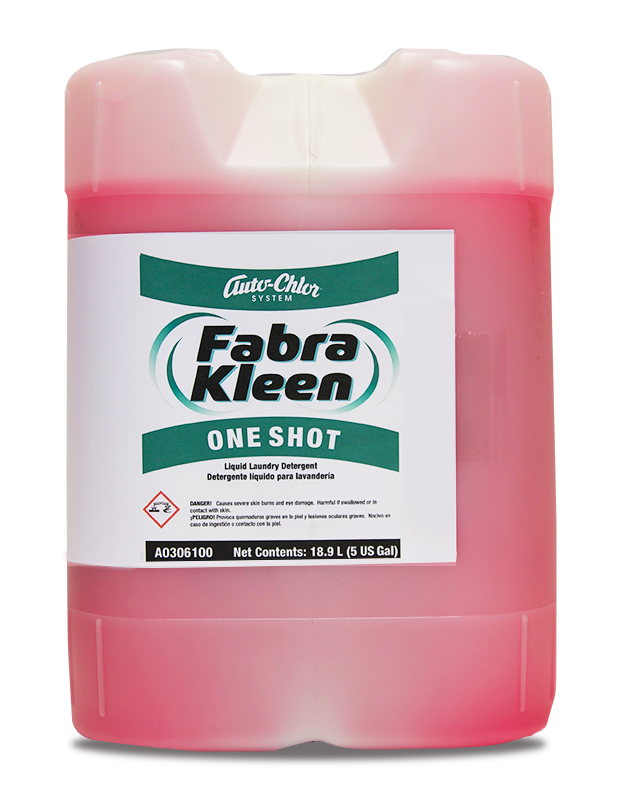 Fabra Kleen Soft & Sour is a liquid fabric softener developed for use in commercial and institutional on-premise laundry operations. 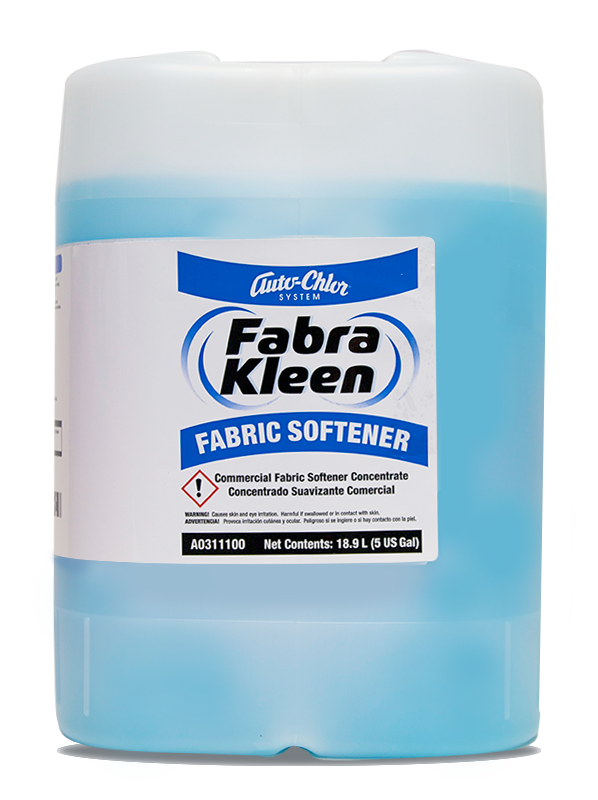 This combination product effectively neutralizes wash water pH, removes rust and iron stains while eliminating static cling and softening fabric. 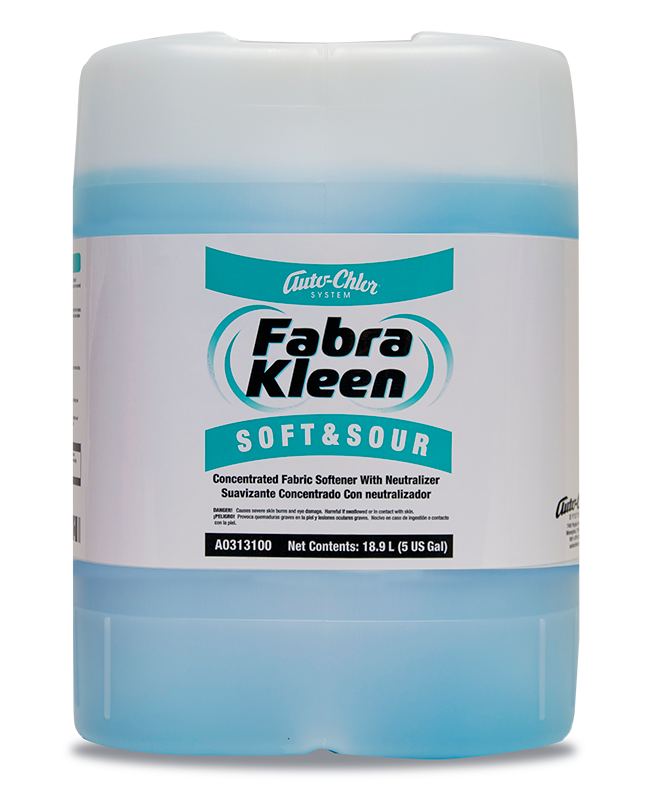 Fabra Kleen Soft & Sour incorporates buffered sour technology to prevent over souring and fiber deterioration. 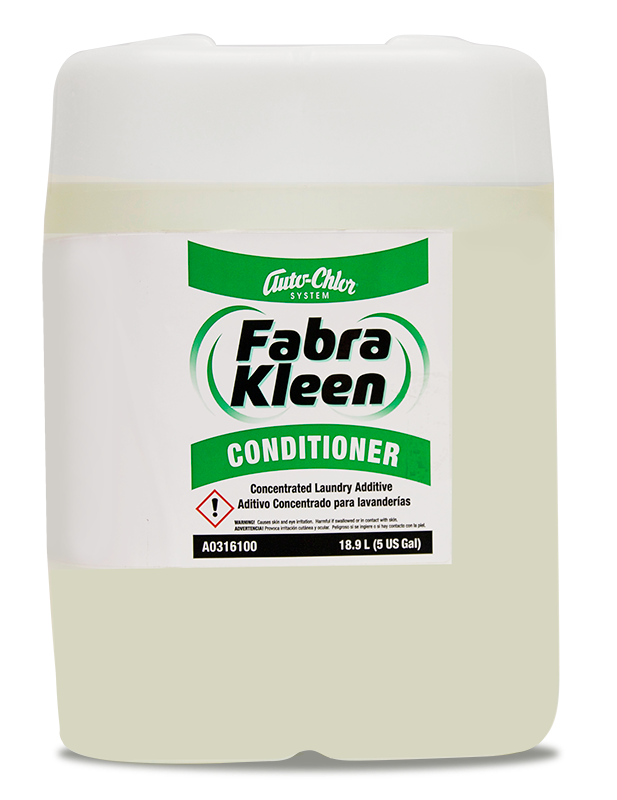 Softener ingredients repel water to improve drying time. 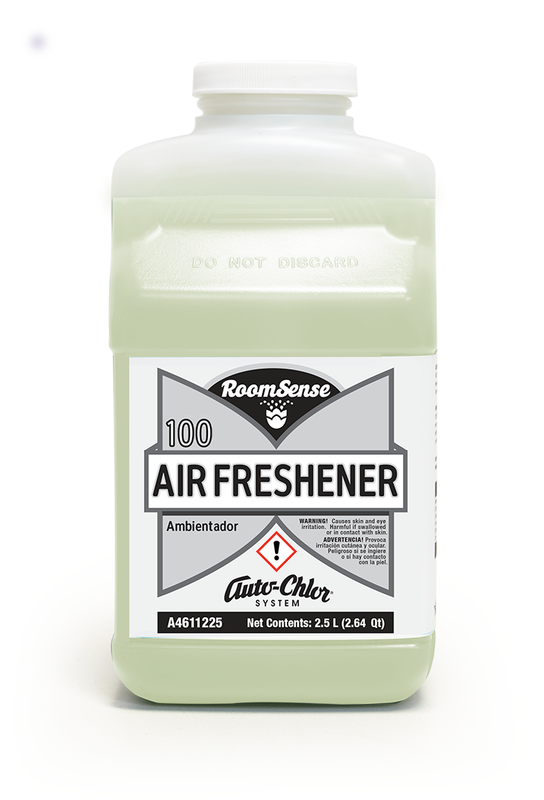 Sour reduces pH to improve ironing efficiency.